The firm also has chosen FileTrail GPS™, Governance Policy Suite, to advance its commitment to information governance. 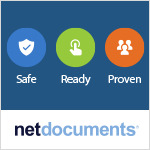 The firm selected FileTrail for its seamless integration with NetDocuments as well as its ability to integrate with other data repositories in the future to gain a more comprehensive and cohesive records management system. Looking beyond its RM needs, the firm is implementing FileTrail GPS to move its information governance forward. Hogan Lovells chose GPS for its ability to apply both internal IG policy and outside counsel guidelines across multiple data platforms, along with its automated retention and disposition and its advanced matter mobility tools. “Our firm chose FileTrail for their holistic approach to information management. 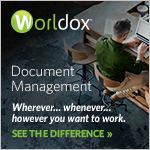 Their advanced RM and IG solutions will automate review cycles and move our IG program forward,” said Joanne Smith, Hogan Lovells Senior Manager, Document Management Applications. Hogan Lovells is among several large, prominent law firms to upgrade their legacy RM systems to FileTrail and that are advancing their IG efforts with FileTrail GPS. Since its introduction just a year ago, FileTrail GPS has become the premier solution for law firms seeking a more modern and integrative approach to complete information management.